SB 54 by Senate Leader Kevin de León (D-Los Angeles) is the controversial “sanctuary state” bill. It was the flagship bill of this year’s legislative proposals to challenge the Trump Administration’s immigration enforcement actions and is intended to provide protections for families amid threats of mass deportations. The bill establishes the California Values Act, which states that local authorities will not inquire about immigration status during routine interactions with citizens. Additionally, in congruence with AB 699 (below), SB 64 requires the Attorney General (AG) to publish model policies limiting assistance with Immigration and Customs Enforcement (ICE), to the fullest extent possible under federal and state law, at public schools, public libraries, shelters, and other types of state facilities. The bill also requires these public agencies and facilities to adopt the policies. SB 54 limits the ability of school security and police resources from being used to enforcing immigration actions. In response to the passage of SB 54, a referendum was filed with the Secretary of State seeking to gather enough signatures to place a measure on the November 2018 statewide ballot to overturn the new law. The Governor’s signing message can be found here. AB 699, authored by Assembly Member Patrick O’Donnell (D-Long Beach), prohibits school agencies from discriminating against students based upon immigration status. It also requires the AG to publish by April 1, 2018 model policies limiting assistance with immigration enforcement at public schools. It also requires local educational agencies (LEAs) to adopt the model policies or equivalent polices by July 1, 2018, and provides education and support to immigrant students and their families. Additionally, AB 699 allows school boards to adopt stronger standards and protections than those provided by the AG. Governor Brown also signed SB 257 by Senator Ricardo Lara (D-Bell Gardens), which deems that a student meets residency requirements for school attendance in a school district if he or she is a student whose parents were either deported from California, or had to leave the state against their will. This bill prohibits a school district from levying any charges or fees to the student or his or her parent or guardian from admission or attendance in a school for those students admitted, and allows these students to be included in calculating average daily attendance (ADA). Additionally, it provides for a parent or guardian of the student to designate an adult to attend school meetings and serve as an emergency contact. Meal Shaming Bill Signed – The Governor signed SB 250 by Senator Hertzberg (D-Van Nuys), which attempts to address incidences of “meal shaming” in schools. This bill requires an LEA to ensure that a pupil whose parent or guardian has unpaid school meal fees is not shamed, treated differently or served a meal that differs from what a pupil whose parent or guardian does not have unpaid school meal fees would receive under the LEA’s policy. The bill’s language has led to multiple interpretations from the field. CDE is currently developing guidance and will be working with school nutrition professionals throughout the process. This bill requires a community college district or college to maximize the probability that the student will enter and complete transfer-level coursework in English and mathematics within a one-year timeframe, and use, in the placement of students into English and mathematics courses in order to achieve this goal, one or more of the following: high school coursework, high school grades, and high school grade point average. The Seymour-Campbell Student Success Act of 2012 provides that the purpose of the act is to increase California community college student access and success by providing effective core matriculation services of orientation, assessment and placement, counseling, and other education planning services, and academic interventions. Is accessible to women entering a restroom provided for use by women. Is accessible to men entering a restroom provided for use by men. Is at least one baby diaper changing station that is accessible to both men and women. Specifies that this requirement applies to all new construction and, except as otherwise provided, to all renovations of bathrooms where the estimated cost of the new construction or renovation is $10,000 or more. Establishes the Lifting Children and Families Out of Poverty Task Force, for the purpose of submitting a report to the Legislature and the Governor’s Administration that recommends future comprehensive strategies to achieve the reduction of deep poverty among children and reduce the overall child poverty rate in the state. The bill requires the report to be completed by November 1, 2018, and requires the Department of Social Services to invite and convene the task force and to assist the task force in carrying out its duties. This bill extends the College Promise Partnership Act, scheduled to sunset on June 30, 2017, indefinitely. The Act allows the Long Beach Unified School District and the Long Beach Community College to enter into a dual enrollment partnership. Recognizes the month of August 2017 as Opportunity Youth Reengagement Month, and states the intent of the Legislature to encourage the expansion of schools authorized to specifically reengage “opportunity youth” 16 to 24 years of age by developing recommendations for a statewide student reengagement strategy and identifying the cost of the strategy compared to the cost of inaction; authorizing systems for accountability to students, parents, and families through transparency, active engagement, and outreach strategies; and highlighting, promoting, and uplifting evidence-based practices for successful student reengagement efforts that maintain multiple measures for evaluation of student success. Current law subjects foster care provider applicants and resource family applicants to a criminal records check and prohibits licensure or approval of an applicant who has been convicted of certain felonies, but authorizes the department or county, as applicable, to grant an exemption from disqualification for the conviction of any other crime. This bill would also (1) prohibit the final approval for an adoptive placement, (2) prohibit the placement of a child in the home of a relative, non-relative extended family member, prospective guardian, or another person who is not a licensed or certified foster parent or an approved resource family, and (3) prohibit licensure of a foster care provider applicant and approval of a resource family applicant, if the person or any individual subject to the background check requirements has a felony conviction for any of certain specified crimes. Declares the month of April 2017 as the Month of the Military Child, and would urge all Californians, local and state leaders, private organizations, and businesses to observe the month by showing appreciation to the children and youth of military and veteran families, including children of the fallen, for standing by their parents and loved ones who are serving or have served as members of the Armed Forces of the United States. This measure designated April 2017 as Autism Awareness Month and encourages residents to show support for autism awareness. Existing law only permits the sale of certain beverages at schools, including fruit-based and vegetable-based drinks, plain water, certain types of milk and nondairy milk and other similar nondairy milk, and, in high schools, electrolyte replacement beverages if those beverages meet certain nutritional requirements. This bill specifies that almond milk is a nondairy milk that is authorized to be sold to pupils at public schools. This bill requires all California state-owned or state-run institutions, except public universities and colleges and school districts, to purchase agricultural products grown in California when the bid or price of the California-grown agricultural product does not exceed, by more than 5%, the lowest bid or price for an agricultural product produced outside the state and the quality of the produce is comparable. This bill prohibits all schools, school districts and charter schools participating in the National School Lunch Program or School Breakfast Program from advertising foods or beverages that do not meet specified nutritional standards anywhere on school campuses during the school day and from participating in corporate student incentive programs involving non-compliant food and beverages. However, the advertising of infrequent school fundraising events, involving non-compliant food or beverages, is exempted from this prohibition. Current law provides that all food labeling regulations adopted pursuant to the federal Food, Drug, and Cosmetic Act shall be the food labeling regulations of this state, and authorizes the State Department of Public Health to adopt additional food labeling regulations. This bill requires the Department of Food and Agriculture, in consultation with the State Department of Public Health, on or before July 1, 2018, to publish information to encourage food manufacturers, processors, and retailers responsible for the labeling of food products to voluntarily use uniform terms on food product labels, such as “best by” and “use by,” to communicate quality dates and safety dates. The bill also requires the department to promote the consistent use of those terms. Current law specifies that a food facility that donates any food that is fit for human consumption at the time it was donated to a nonprofit charitable organization or a food bank is not liable for any damage or injury resulting from the consumption of the donated food, unless the injury resulted from negligence or a willful act in the preparation or handling of the donated food. This bill, the California Good Samaritan Food Donation Act, expands these provisions to persons and gleaners who donate food, and expands the definition of “person” to include LEAs. The bill also narrows the exception to protection from liability to injury resulting from gross negligence or intentional misconduct. Current law requires CDE to create a computerized data matching system using existing databases from CDE and the State Department of Health Care Services (DHCS) to directly certify recipients of CalFresh, the CalWORKs program, and other programs authorized for direct certification for enrollment in the federal National School Lunch Program and the federal School Breakfast Program. Current law also requires DHCS to conduct the data match of local school records and return a list to CDE. This bill would instead require the DHCS or CDE to conduct the data match of local school records to determine program eligibility. This bill, on or before September 1, 2018, requires a school district or county superintendent of schools that has a very high poverty school to apply to operate a federal universal meal service, and to begin providing breakfast and lunch free of charge through the universal meal service to all pupils at the very high poverty school upon state approval. The bill also authorizes a school district or county superintendent of schools to stop providing the universal free meal service at a school if the school ceases to be a very high poverty school. The bill defines a “very high poverty school” as a school that enrolls pupils in kindergarten or in any of grades 1 to 12 and is eligible to receive the free federal reimbursement rate for all reimbursable school breakfasts and lunches served. This bill enacts the Child Hunger Prevention and Fair Treatment Act of 2017 and requires LEAs that provide school meals through the federal National School Lunch Program or the federal School Breakfast Program to ensure that a pupil whose parent or guardian has unpaid school meal fees is not shamed, treated differently, or served a meal that differs from what a pupil whose parent or guardian does not have unpaid school meal fees would receive under that local educational agency’s policy related to unpaid meal charges. Under federal law, procurement Requests for Proposals (RFPs) related to child nutrition programs may include other conditions, as long as price is the most heavily weighted factor; however, under California law regarding the use of RFPs for nutrition services, school districts may only award contracts to the lowest bidder. This bill makes procurement bid solicitations and awards made by a school district for purchases in support of federal nonprofit child nutrition programs consistent with federal procurement standards by requiring such contracts to be awarded to the most responsive and responsible party and requiring price to be the primary consideration, but not the only determining factor. This bill permits an LEA to provide sharing tables where faculty, staff and students can place prepackaged, non-potentially hazardous food items, uncut produce, unopened bags of sliced fruit, and unopened containers of milk that are maintained at 41 degrees Fahrenheit or below to be made available to pupils during the course of a regular school meal time. The bill also permits the food placed on sharing tables, that is not taken by a pupil during the course of a regular school meal time to be donated to a food bank or any other nonprofit charitable organization. This bill requires CDE to take certain actions to monitor and support school food authorities’ compliance with the Buy American provision of the federal National School Lunch Act. The bill states that its provisions are operative only to the extent mandated under federal law. This measure allows counties to develop a homeless adult and family multidisciplinary team in order to facilitate identification and assessment of homeless individuals, and link homeless individuals to housing and supportive services, and to allow service providers to share confidential information to ensure continuity of care. This bill adopts changes to CalWORKs housing assistance for temporary shelter to make the assistance available to certain families receiving reunification services through the child welfare services system and requires the DSS to work with certain entities to report to the Legislature on shelter costs and best practices for transitioning families to permanent shelter. This bill cleans up elements of AB 403 (Stone, Chapter 773, Statutes of 2015) which implements the Continuum of Care Reform (CCR) effort to reduce the reliance on long-term congregate foster care placements; establishes Intensive Services Foster Care for children with high needs, creates an option to license respite caregivers, and defines outcome requirements for Foster Family Agencies; makes various changes to the Resource Family Approval process, including the means to transfer a resource family approval, remove a resource family from inactive status and makes changes to the appeal process for a denied application. Existing law permits a victim of human trafficking to petition the court to vacate his or her convictions and arrests. This bill ensures that California’s most vulnerable minor and non-minor youth, who are human trafficking victims previously in foster care and were arrested, are able to petition a court for entry into extended foster care. AB 766 (Friedman) – Foster youth: students of the California State University and California Community Colleges. This measure provides educational housing support for foster youth attending college who are still minors. Additionally, it prohibits Aid to Families with Dependent Children- Foster Care (AFDC-FC) payments paid directly to the minor dependent from being considered by California State University (CSU) and California Community Colleges (CCC) when determining financial aid eligibility. This bill requires that DSS provides adoptive families with written information about the importance of working with mental health providers, and a description of desirable clinical expertise for which the family should look when selecting a mental health provider. This bill also defines “specialized permanency services” as services designed for and with the child to address a history of trauma, separation, and loss, and to assist children with achieving permanent placement or supportive transition to adulthood through reunification adoption, or legal guardianship; and includes these services in the existing range of service-funded activities offered by child welfare services. This measure requires DSS and county welfare departments to share relevant information regarding foster youth at a CSU and the CCC, and requires each campus to communicate eligibility for financial aid and campus supports with applicants and enrolled students who are current or former foster youth. This bill clarifies access to education records for caregivers of foster children who are not the child’s education rights holder. 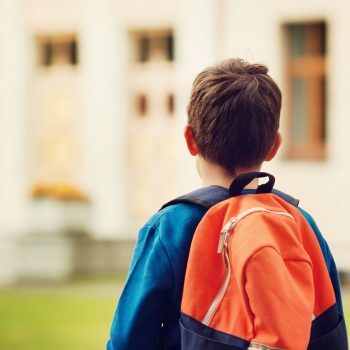 This bill would ensure that foster children receive the educational supports they need through the appropriate sharing of information and coordination of educational services between LEAs, Child Welfare Agencies, education rights holders, and caregivers. This bill requires DSS to provide voter registration information on certain documents and websites used by foster youth and non-minor dependents. Also allows a county social worker to provide voter registration forms to children ages 16 and over or non-minor dependents. Before this bill was signed, there was no systematic requirement for foster youth ages 16-18 to be provided with voter registration information. Existing law establishes a variety of housing options for foster youth and non-minor dependents, including a home certified by a foster family, a Transitional Housing Placement-Plus Foster Care provider. This bill alters the Transitional Housing program guidelines for former and current foster youth by permitting adults to supervise youth without living onsite with them, and to allow non-minor dependents to live independently in an apartment or home. This bill prohibits school officials and employees of a school district, county office of education, or charter school, except as required by state or federal law, from collecting information or documents regarding citizenship or immigration status of pupils or their family members. Also requires the superintendent of a school district or county office of education and the principal of a charter school to report to the governing board of the LEA in a timely manner any requests for information or access to a school-site by an officer or employee of a law enforcement agency for the purpose of enforcing the immigration laws in a manner that ensure the confidentiality and privacy of any potentially identifying information. Prohibits California law enforcement agencies, including school police and security, from using agency or department resources or personnel to investigate, interrogate, detain, detect, or arrest persons for immigration enforcement purposes. Requires the AG, by October 1, 2018, to publish model policies limiting assistance with immigration enforcement to the fullest extent possible consistent with federal and state law at specified locations, including public schools. The bill also requires those specified locations, including public schools, to implement this model policy, or an equivalent policy. This bill provides that a pupil complies with the residency requirement for school attendance in a school district if he or she is a pupil whose parent or parents were residents of this state and departed California against their will and, if the pupil seeks admission to a school of a school district, requires that the pupil be admitted by the governing board of the school district if that pupil meets specified requirements. Repeals longstanding requirements in the Welfare and Institutions Code that require the Division of Juvenile Justice (DJJ), Department of State Hospitals (DSH), and Department of Developmental Services (DDS) to “cooperate with” federal immigration authorities in “arranging for the deportation of all aliens” who are confined in their respective institutions. This bill requires the juvenile court to seal all records, pertaining to a dismissed or unsustained petition alleging wardship, that are in the custody of the juvenile court and other government agencies. This bill also requires the following entities to seal the records of a juvenile: 1) a probation department upon a juvenile’s satisfactory completion of a program of diversion or supervision; and 2) a public or private agency operating a diversion program. When transporting juveniles outside of a local secure juvenile facility, camp, ranch, or forestry camp, mechanical restraints shall only be used after a determination made by the probation department, in consultation with the transporting agency, that the restraints are necessary to prevent physical harm to the juvenile or another person. Requires additional documentation by the county probation department when restraints other than handcuffs are used. Current law provides that if a pupil satisfies statewide requirements for graduation while attending a juvenile court school, a county office of education is required to issue to the pupil a diploma of graduation and shall not require the pupil to complete additional coursework. This bill would, notwithstanding the above requirement, permit the pupil, upon agreement between the county office of education and the pupil, or his or her educational rights holder, to take coursework or other requirements adopted by the county board of education, and receive a diploma only after the student is released from the juvenile facility. Current law allows incarcerated persons to be eligible for a youth offender parole process if they were 23 or younger when the crime was committed. This law extends that process to those who were 25 or younger when the crime was committed, and sets timelines by which hearings for eligible offenders must occur. This bill establishes a specific standard for removal of a dependent child from the physical custody of a noncustodial parent. Specifically, AB 1332 provides that a dependent child may not be taken from the custody of a parent with whom the child did not reside at the time the dependency petition was initiated, unless the juvenile court finds clear and convincing evidence that it would be a substantial danger to the physical health, safety, protection, or physical or emotional well-being of the child for the parent to live with the child or otherwise have physical custody of the child, and there are no reasonable means by which the child’s physical and emotional health can be protected without removing the child from the parent’s physical custody. This bill affirms and expands the rights of minors, non-minor dependents and wards of the court who are parents to consult with legal counsel prior to their children being removed from their custody. This bill authorizes a court to issue a protective custody warrant without first filing a petition in the juvenile dependency court under specified conditions, including that there is a risk to the child’s safety and no reasonable means to protect the child without removal. It requires any child taken into protective custody to immediately be delivered to a social worker who shall investigate the facts and circumstances of the case and attempt to maintain the child with the child’s family through the provision of services. Current law provides that the board of supervisors of any county may authorize the correctional administrator to offer a program under which inmates committed to a county jail or other county correctional facility or granted probation, or inmates participating in a work furlough program, may voluntarily participate or involuntarily be placed in a home detention program during their sentence in lieu of confinement in a county jail or other county correctional facility or program. Current law authorizes the board of supervisors to prescribe a program administrative fee and an application fee for this program. This bill makes those fees payable only by adult participants of that home detention program who are over 21 years of age and under the jurisdiction of the criminal court. Amends the circumstances under which criminal records of juvenile offenders may be sealed, provided the offender has demonstrated he or she is fully rehabilitated, and has remained crime-free for a minimum of three years. Makes a person who was convicted of a controlling offense that was committed before the person had attained 18 years of age and for which a life sentence without the possibility of parole has been imposed eligible for release on parole by the board during his or her 25th year of incarceration at a youth offender parole hearing. Requires the board to complete, by July 1, 2020, all hearings for individuals who are or will be entitled to have their parole suitability considered at a youth offender parole hearing by these provisions before July 1, 2020. Existing law requires a peace officer, when taking a minor into temporary custody, to advise the minor that anything he or she says can be used against him or her, that he or she has the right to remain silent, that he or she has the right to have counsel present during any interrogation, and that he or she has the right to have counsel appointed if he or she is unable to afford counsel. This bill would require that a youth 15 years of age or younger consult with legal counsel in person, by telephone, or by video conference prior to a custodial interrogation and before waiving any of the above-specified rights. This bill would authorize the assessment of a legal guardian of a foster youth to also include the naming of a prospective successor guardian if one is identified. Would allow records contained in juvenile delinquency case files to be accessed by a law enforcement agency, probation department, court, the Department of Justice, or other state or local agency that has custody of the case file and juvenile record for the limited purpose of complying with data collection or data reporting requirements. The bill would allow the juvenile court, upon the request of the chief probation officer, to authorize a probation department to access and provide data contained in juvenile delinquency case files for the purpose of sharing data or conducting or facilitating research on juvenile justice populations, as specified. Current law sets forth provisions for the discharge of wards from the Department of Corrections and Rehabilitation, Division of Juvenile Facilities to the jurisdiction of the committing court. Under existing law, the department has no further jurisdiction over a ward who is discharged by the Board of Juvenile Hearings. Current law requires the committing court to establish the conditions of the ward’s supervision and requires the county of commitment to supervise the reentry of the ward. This bill would, among other things, confer on the board the obligation to make an honorable discharge determination for a person previously committed to the division upon his or her completion of local probation supervision, but not sooner than 18 months following the date of discharge by the board. Under current law, as part of the state’s responsibilities relative to migrant children, SBE is required to adopt a state master plan for services to migrant children and the SPI is required to take the steps necessary to ensure effective parental involvement throughout the state migrant education program, including establishing a statewide parent advisory council (SPAC) and sponsoring an annual State Parent Advisory Council Conference. Existing law also requires the SPAC to prepare and submit an annual report to the Legislature, the SBE, the SPI and the Governor on the status of the migrant education program. This bill requires the SPAC to prepare and submit their report every three years instead of annually, and for the SPAC Conference to be held biennially, instead of annually. The bill also authorizes the SPI to sponsor regional conferences to take the place of the state conference if the Superintendent determines that regional conferences will increase parent participation. This bill requires a public school serving students in any of grades 6 to 12, that meets the 40% pupil poverty threshold required to operate a federal Title I school-wide program, to stock at least 50% of the school’s restrooms with feminine hygiene products at all times, and to provide those products at no charge. Current law establishes the Early and Periodic Screening, Diagnosis, and Treatment (EPSDT) Program. This bill requires that existing screening protocols in the EPSDT also include screenings for trauma. Additionally, the bill defines trauma in this context to include child abuse or neglect, or removal from the home by a child welfare agency. The bill also requires the DHCS, in consultation with the DSS, behavioral health experts, and child welfare experts, to develop, employ, and adopt tools for the purposes of screening children for trauma. This bill authorizes the Director of the Employment Development Department (EDD) to share quarterly wage data with the Mental Health Services Oversight and Accountability Commission (MHSOAC), for purposes of monitoring and evaluating employment outcomes to determine the effectiveness of mental health services in the state. The bill also states that it is the intent of the Legislature to authorize MHSOAC to receive information held by other state agencies for purposes of improving the mental health care system in California. This bill requires DHCS to consult with subject matter experts who represent providers, consumer advocates, consumers, family members, counties, and the Legislature to inform updates to the performance outcomes report for specialty mental health services (SMHS) developed for EPSDT. This bill expands the definition of a short-term residential treatment center (STRTC) to include a children’s crisis residential center (CCRC) to be used as a diversion from psychiatric hospitalization and creates a new facility licensure category for CCRCs. Enacted by voters in 2004, the Mental Health Services Act (MHSA) provides funding to counties to expand services, develop programs, and integrate service plans for mentally ill children, adults, and seniors. This bill clarifies that counties are authorized to use funds provided by the MHSA to provide housing assistance for people that would be served as the target population under the MHSA. This bill establishes the Early Psychosis Intervention Competitive Selection Process Plus Program and an advisory committee to the MHSOAC, to encompass early psychosis and mood disorder detection and intervention. Current law requires physicians to offer “anticipatory guidance” about lead and lead poisoning to all children and their parents, and to order blood lead screening for all children on a publicly funded program for low-income children, or children who are deemed at high risk for lead exposure. This bill requires the California Department of Public Health (CDPH) to revise its regulations surrounding physician guidance and blood lead screening for children. This bill requires the Medical Board of California (MBC) to consider including in its continuing education requirements, a course in integrating mental and physical health care in primary care settings, especially as it pertains to early identification of mental health issues and exposure to trauma in children and young adults and their appropriate care and treatment. This resolution recognizes adverse childhood experiences (ACEs), also known as post-traumatic “street” disorder in communities of color, as having lasting negative outcomes to both physical and mental health with growing implications for our state. Current law establishes the Medi-Cal Children’s health Advisory Panel, which is an independent, statewide advisory board that advises DHCS on matters relevant to all children enrolled in Medi-Cal, and their families. This bill provides that members of the panel, appointed on or after January 1, 2018, shall serve a term of three years, and also stagger the panel appointment cycle so that every year, five panel members’ terms are ended. If a school or school district hosts a free oral health assessment event, a pupil will be given an oral health assessment unless the parent or legal guardian of the pupil opts out of the schoolsite assessment. The parent or legal guardian may indicate that they do not consent to the pupil receiving the oral health assessment at school. A pupil will not receive dental treatment of any kind as part of the schoolsite oral health assessment unless the pupil’s parent or guardian has provided informed consent for the treatment. Failure of the parent or guardian to opt out of the pupil oral health assessment is not deemed as consent for dental treatment of any kind. Existing law establishes the Lanterman-Petris Short (LPS) Act, which authorizes a person to be involuntarily detained for a period of up to 72 hours for assessment when, as a result of a mental disorder, the person is a danger to to him/herself or to others, or is “gravely disabled”. Additionally, the LPS Act permits, after an initial 14-day treatment period, a person to be placed on a 30-day hold for additional intensive treatment, after a certification review hearing. This bill requires a mental health facility to make reasonable attempts to notify family members, or any other person designated by the patient, of the time and place of the certification hearing at least 36 hours prior to a certification review hearing, unless the patient requests that this information not be provided. This bill prohibits a Medi-Cal managed care plan from restricting the choice of a qualified provider, from whom a beneficiary enrolled in the managed care plan may receive family planning services covered by Medi-Cal. This bill limits a mental examination of a child, in any civil action where there is credible evidence that the child has been sexually abused, to psychological testing of no more than three hours, including any breaks. Additionally, this bill requires the examiner to have expertise in child abuse and trauma.